When we last left Virginia in Episode 69, Royal Governor Dunmore had taken refuge aboard the HMS Fowey and was directing military raids against Virginia towns along the coast. 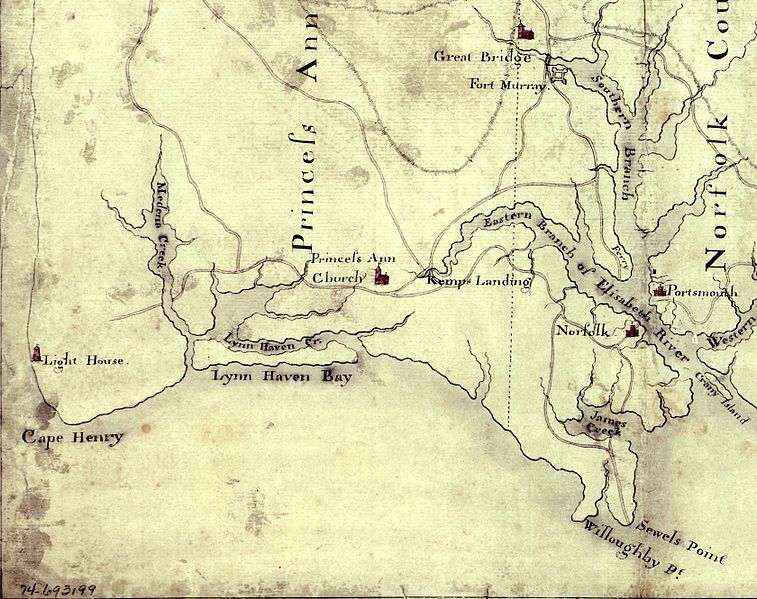 British marines and Virginia soldiers had fought a pitched battle at Hampton, forcing the marines to withdraw. Dunmore and the British operated out of a secured shipyard in Norfolk, but otherwise had pretty much lost control of the entire colony. Unlike some other toppled royal governors, Dunmore was not content to sit aboard ship and await the arrival of British regulars. As a former military officer, he would try anything in his power, using the resources he had available, to oppose the rebellion. For months, Dunmore had threatened to raise an army of slaves to rise up against the rebel colonists, thus stoking fears of a slave rebellion. Based only on rumor, many slaves began flocking to Norfolk to offer their services to Dunmore. Following the Battle of Hampton, on November 7, 1775, Lord Dunmore issued a public proclamation declaring martial law in the colony and calling on all loyal subjects to take up arms against the traitors. More significantly, he called on the slaves of all rebels to join his new loyalist army. In exchange for their service, they would be granted their freedom. To be clear, this was not an attempt to abolish slavery. The slaves of loyalists in Virginia were not eligible for this deal. Gov. Dunmore was trying to confiscate the slaves from rebels and use them against the rebellion. Even so, for many Tories, the proclamation made manifest the irony of colonists who complained about being enslaved and denied fundamental liberties, being confronted by people that the colonists themselves had enslaved and denied fundamental liberties. For southern whites, attempting to foment a slave rebellion was the “nuclear option” of the time. Once unleashed, no one knew how far it could go, or how much destruction it could wreak. Southern whites vented their outrage at the Governor for what they considered a horrific act of tyranny. It heightened the ardor of many patriots and pushed many moderate southerners into the patriot camp. The Ethiopian Regiment, along with a single company of loyalists, mostly from around Norfolk, and two companies of British regulars and a few navy ships were the only military forces that Dunmore had available. Gen. Gage and Gen. Howe were still hoarding almost all regulars in North America for the defense of Boston. 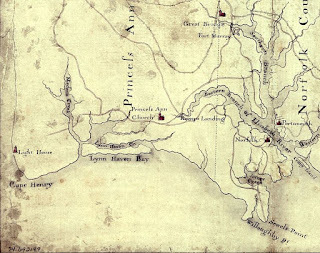 On November 13, about a week after issuing his proclamation, Dunmore moved his forces on a small village known as Kemp’s Landing, a few miles from Norfolk on the Elizabeth River. His force included almost all of his regulars, along with about 20 loyalist militia, and a few freed slaves too. Their goal was to investigate reports that North Carolina has sent patriot militia into Virginia. Gov. Dunmore, a former British officer with considerable combat experience, personally led the mission. The reports of North Carolina militia proved false, but 170 local Virginia militia turned out to ambush the expedition. As Dunmore’s forces approached them, the inexperienced militia fired too early. The British charged the militia, who fled in disorder. One of the British soldiers, a former slave, captured the commander of the patriot militia, Joseph Hutchings, his former master. After the British took control of the town, Dunmore read his proclamation publicly for the first time. About 100 local militia came forward and took an oath of loyalty to the crown. They claimed they had been forced into supporting the patriot cause. Over the next few days, more than 3000 men in the area took the oath of loyalty. Actions like this gave hope to the British that most people remained loyal but were simply afraid to speak out. If Dunmore could reestablish British control of the territory, the majority of colonists would greet them as liberators and help restore order. It turned out though, that a great many people were simply willing to say whatever would help them with whichever side happened to be pointing a gun at them at the moment. Still, Dunmore took advantage of his momentum to begin recruiting more loyalist militia and building up defenses around Norfolk. Dunmore also moved a force to the south, at Great Bridge, a shipping point where trade goods from North Carolina moved into Virginia. Norfolk is surrounded primarily by water and marshy swamp land. The area known as Great Bridge, provided the best way for a land force to enter or leave the town. Fearing a raid of North Carolina militia, Dunmore organized a defensive line there, with about 600 men and two cannon. He began to build a larger fort dubbed Fort Murray (Gov. Dunmore’s actual name was John Murray) near the bridge. Again, he deployed most of his regulars, along with sailors from the HMS Otter. The remainder of the forces were loyalist militia now flocking to his cause. Virginia patriots had established their own regiments of colonial regulars to defend the colony. These were not Continental soldiers nor were they militia. The were men who had enlisted to become professional soldiers for Virginia. Col. William Woodford commanded the 2nd Virginia Regiment. He moved his regiment south from Williamsburg to confront Dunmore near Norfolk, and put an end to the Governor’s attempts to recruit a loyalist army. Woodford was an experienced veteran who had served under Washington during the French and Indian War. He also commanded forces against Indians on the Virginia frontier while serving as a militia officer. Woodford’s Regiment, along with patriot militia from both Virginia and North Carolina, totalled around 900 men. On the morning of December 9, the loyalists took the initiative attempting to charge the patriot line. Woodford’s forces maintained discipline and held fire until the loyalists were in range. A fatal volley forced the loyalist line to stagger and fall back. Most of the loyalist militia fled, while the British grenadier company stood and fought against overwhelming numbers. As a result, the British regulars took most of the casualties that day. The patriots followed up with a counter attack, but the British cannon held them at bay. The patriots opted not to storm the fort, allowing the occupants to slip away that night, back to the defenses at Norfolk. The patriots won the field, taking almost no casualties, while killing or wounding over 100 loyalists. According to some accounts, one Patriot militiaman who showed particular bravery that day was a man named Billy Flora. What makes Flora remarkable was that he was a free black man. He had been born free and owned a farm in southern Virginia. Virginia exempted free blacks from the obligation to bear arms, directed them to appear at musters without arms. Despite this, Flora clearly had been an armed member of the militia for many years. Following the loss at Great Bridge, Dunmore judged Norfolk to be indefensible. He evacuated the soldiers and loyalist civilians from the city to the small fleet offshore. Many loyalist civilians evacuated in their privately owned ships as well. 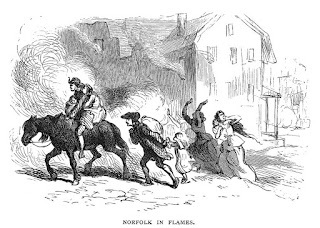 A few days later, Col. Woodford’s patriot soldiers occupied Norfolk. For the next few weeks. The loyalists in ships faced off against the patriots in Norfolk. 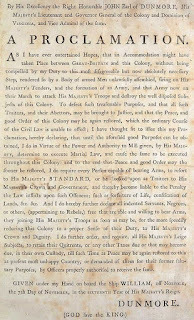 As the loyalist fleet considered its options, a smallpox epidemic broke out killing most of the soldiers in the Ethiopia Regiment among others. The fleet also needed food, and could not get to land to obtain any. On December 17, British attempted to recapture the Snow, a ship that the patriots had captured, containing tons of salt. The Navy tried to use bluster and threats to get the patriots to give up the ship, but they refused. The British backed off without shots fired. The following week, on December 21, Capt. Henry Bellew arrived aboard the HMS Liverpool with 400 marines and a supply ships. The reinforcements gave Dunmore the confidence to put the naval ships in a line of battle against Norfolk and threaten the city unless they provided food to the fleet. The patriots refused, and the standoff continued for more than a week. That must have been an enjoyable Christmas for everyone involved. On December 30, Bellew renewed his threat to destroy the city and announced that women and children should evacuate the town. Finally on New Year’s Day, 1776, the fleet opened fire on Norfolk with over 100 cannons for over 24 hours. The marines then went ashore and fought pitched hand to hand combat with the patriot forces still defending the town. The marines put most of the houses along the waterfront to the torch, and also burned the Snow down to the water line. Eventually, the patriots drove the marines back to their ships. The next day, however, the patriots ended up burning most of the rest of the town, focusing on the homes of families who were known Tories. By January 3, the fighting seemed to be over, then on the 5th, Patriots stormed the British occupied Gosport Shipyard. The British gave up the shipyard, but only after most of it had burned to the ground. Over the next few weeks, the patriots and the navy would trade a few shots, but there were no more pitched battles. In February the HMS Roebuck arrived with more soldiers. But unable to retake the town, the fleet moved to nearby Portsmouth where they established a base and continued to send hit and run raids against coastal towns. Dunmore did not attempt to hold any towns or recruit a new army. Effectively, there was no more royal government control anywhere in Virginia. Moving south, when we last left South Carolina, Royal Governor William Campbell, like Dunmore in Virginia, had taken refuge aboard the HMS Tamar in Charleston Harbor during the summer of 1775, leaving the patriots in control of Charleston and the coastal region of South Carolina. In September, the patriot Council of Safety ordered a raid on Fort Johnson, also in Charleston Harbor. Col. William Moultrie, who would later rise to the rank of major general in the Continental Army and serve as governor of South Carolina, led the assault. Among the other officers supporting Moultrie were Capt. Charles Cotesworth Pinckney, who would go on to serve as a delegate at the Constitutional Convention and become a US Supreme Court Justice, and Capt. Francis Marion, who would later gain military fame as the Swamp Fox. 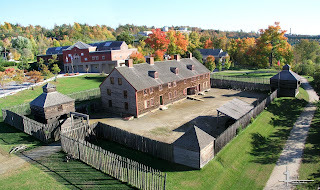 The force staged a dawn raid on September 15, 1775, only to find that most of the small garrison had already abandoned the fort, and taken the cannons. The patriots soon moved a few new cannons into the fort to defend against any possible attack by the British navy still in the harbor. Following the capture of Fort Johnson, the patriots seized a ship carrying supplies to the British fleet in the harbor. Governor Campbell then ordered the royal navy to blockade the harbor and soon captured a merchant vessel, the Polly. The navy also fired on the patriots still occupying Fort Johnson, but did not attempt to retake the fort. Throughout the fall, the Navy continued to attempt the seizure of merchant ships in the area, with some limited success. Patriots began arming their own ships to harass the navy. They also sank several wrecks in the harbor to limit the navy’s ability to navigate around the harbor. In December, the HMS Scorpion captured a larger ship, the Hetty. The British armed it and added it to their fleet. They renamed the ship the HMS General Clinton in honor of British General Henry Clinton. This increased the fleet size to six ships. South Carolina patriots were fighting a two front war at this point. They were dealing with the British navy in Charleston Harbor, as well as loyalist forces inland. The loyalists were active and openly opposing the patriots in the backcountry, including the area around Fort Ninety-Six. Back in Episode 69, I explained how loyalists had seized the fort in July. Over the next few weeks and months, it became a loyalist center of power. Many of the loyalists had good relations with the Cherokee and would camp on Cherokee lands. In late October, in an attempt to curry favor with the Cherokee and encourage them to remain neutral, the patriots sent them 1000 pounds of gunpowder, and lead for making shot. Loyalists learned of the delivery and assumed the patriots were attempting to arm the Cherokee and encourage the tribes to massacre the loyalists. They captured the wagons along with a squad of patriot rangers trying to protect them. They took the prisoners and wagons back to Fort Ninety-Six. The capture of the wagons convinced the patriot leadership that they needed to do something decisive about the loyalists in the interior. Just after the loyalist seizure of the powder wagons in October, Major Andrew Williamson sent a team of rangers to recapture the lost ammunition. The patriots moved on Fort Ninety-Six, but faced a superior force of loyalists. They had to withdraw. On November 19, Williamson returned with a much larger force about 600 rangers, only to find Ninety-Six unoccupied by the enemy. He did, however, soon receive word that the loyalists had assembled a force of around 1500 soldiers and that the force was on its way to confront his brigade. Williamson decided to face the larger force of loyalists in battle. He had his men set up a fortified camp in a field near town. As it turned out the loyalists under the command of Patrick Cunningham arrived with over 2000 men and occupied the town of Ninety-six. Although the patriots were outgunned, they had chosen the high ground and had time to dig defensive entrenchments. They also mounted two swivel guns which discouraged a direct enemy assault on their position..
For two days, the two sides mostly took potshots at each other from their entrenched positions. At one point the loyalists attempted to set fire to the field and storm the patriot lines, but were quickly pushed back. The battle might have become a siege, but for the fact that neither side had good access to a water source, and both sides were running out of gunpowder after two days of firing. Neither side expected any reinforcements that might tip the balance. On November 21, the third day of fighting, the two sides agreed to a cease fire. The patriots would destroy their fort and turn over their swivel guns. Both sides would be permitted to leave the area and not attack the other as they left. They would also not allow any relief forces or reinforcements to attack the other side. Finally, each side would also return any prisoners captured during the fighting. For a battle involving nearly 3000 soldiers, casualties were remarkably light. The patriots suffered only one killed and 12 wounded. The loyalists, mostly because of their one assault attempt, suffered 52 killed and 20 wounded. Despite the treaty signed at Fort Ninety-Six, which supposedly bound other supporters on each side, Col. Richard Richardson of the patriot rangers decided not to respect the treaty. He moved to attack loyalist camps inside Cherokee territory. It became known as the “snow campaign” as they marched through heavy snow during late November and December. 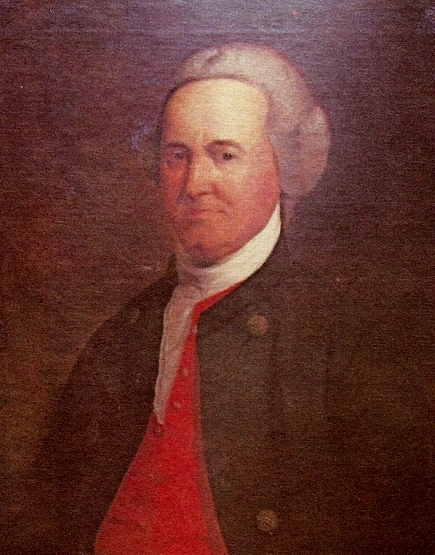 Captain Cunningham, the loyalist officer who had signed the treaty at Ninety-six, had disbanded most of his regiment under that treaty. Richardson dispatched 1300 patriots to capture Cunningham and his men. Surprised and outgunned the loyalists scattered in a skirmish that came to be known as the Great Cane Break. Cunningham escaped on horseback. Most of his men fled into the woods, many also escaping. The patriots captured loyalist Thomas Fletchall and shipped him back to Charlestown under guard. Having captured or scattered the remainder of loyalist troops in the area, the patriots marched back to Charlestown through more than two feet of snow. With one of their top leaders captured and troops scattered, the loyalists were out of the fight for the rest of the winter. By the end of the year, loyalists in the backcountry were scattered and demoralized. The small British fleet in Charleston Harbor was short on supplies and living miserably aboard ships in the cold Winter weather. Finally, in early January 1776 Campbell ended the blockade and moved the fleet down to Georgia. From there he eventually sailed to Jamaica, where he began preparations to return in the spring for a new offensive. With that, the patriots effectively took control of South Carolina. Drayton, John Memoirs of the American Revolution: from its commencement to the year 1776, inclusive, as relating to the state of South-Carolina, and occasionally refering [sic] to the states of North-Carolina and Georgia, Charleston: A. E. Millen, 1821. Eckenrode, H. J. The Revolution in Virginia, Boston: Houghton-Mifflin, 1916. McCrady, Edward The History of South Carolina in the Revolution, 1775-1780, New York: MacMillan Co. 1901. Gilbert, Alan Black Patriots and Loyalists: Fighting for Emancipation in the War for Independence, Chicago: Univ. of Chicago Press, 2012 (book recommendation of the week). 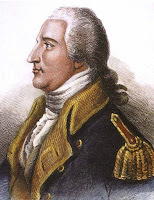 In earlier episode I have introduced Benedict Arnold as a motivated officer and brave fighter. At the same time, he had the almost no political or diplomatic skills. As a result, people either loved him or hated him. When Arnold came to Cambridge in late summer of 1775, he met with Gen. Washington, who seemed to take a liking to him. Arnold had proven his energy and ability when he and Ethan Allen captured Fort Ticonderoga and Lake Champlain, denying the British in Canada an invasion route to the south. At the same time, Arnold’s abrasive style and made quite a few enemies among his fellow officers and among the politicians who appointed new officers. Washington needed can-do officers who could act on their own initiative and who had shown bravery in battle. Arnold was just such a man. By fall, Arnold and everyone else were following the movements of Generals Schuyler and Montgomery as they recaptured most of the territory that Arnold had already captured. He had been forced to surrender it when timid politicians afraid of offending the British and cheap commanders afraid to commit men and money had denied him the resources to capitalize on his capture of St. Jean in August. Now Montgomery was obliged to commit a far larger army to retake it. Everyone also knew that the ultimate goal was Quebec and the American occupation of French Canada. Arnold could not go back and serve alongside officers like Seth Warner, Ethan Allen, and John Brown who despised him. But he could still be of service in the campaign. Arnold suggested he be permitted to open up a second line of attack against Quebec. While Schuyler and Montgomery battled their way up Lake Champlain and the St. Lawrence River, Arnold would take a battalion up to modern day Maine and hack his way through the wilderness to advance on Quebec from the east. Strategically, it made sense. Even though the trip would be a very difficult one over mountainous terrain, it would not be a direction that the British would be expecting. When the British did find out about the expedition, they would be forced to redeploy from the limited numbers of soldiers holding off Schuyler’s invasion in order to block Arnold’s invasion. Washington decided to let Arnold prove himself. He helped Arnold to get a commission as a Colonel in the Continental Army and assigned him around 1100 officers and men for his assault on Quebec. Washington approved the mission in August, but it would be late September before it could get underway. Part of the delay was that Washington wanted to get Gen. Schuyler’s approval before letting Arnold proceed. Since Schuyler had met Arnold back in June and had taken a liking to the young officer, he had no objection. Another delay was that Arnold had to appear before the Massachusetts Provincial Congress and settle his accounts. This was before Benjamin Church was outed as a spy, and Church headed the committee overseeing Arnold’s behavior during the capture of Fort Ticonderoga. From the very beginning, the hearings went poorly. The Church Committee had received reports from all the other officers involved, Allen, Warner, Easton, Brown, Hinman who all belittled Arnold’s efforts and painted him as an egocentric nut job who mostly got in their way while they were liberating Fort Ticonderoga and Lake Champlain. Arnold appeared before the Committee expecting to be reimbursed for over £1000 he had fronted personally to pay the costs of his campaign. The Committee was focused on the £100 they had fronted him and wanted him to account for that. The charges ranged from accusing Arnold of stealing £160 that he captured on one of the British ships to the inane, like paying too much for a horse, not accepting that one might pay more for items in a military emergency that when one is bargaining in a normal market. They also disallowed paying a carpenter for building gun carriages, since he could have had his soldiers (who had no particular carpenter skills or tools) build them on their own. In many cases, they simply did not pay because there were no receipts. Arnold had accounted for his expenses in a ledger, but apparently had not gotten a slip of paper from the person he paid. In the end, the Church Committee paid about two-thirds of his expenses, leaving Arnold on the hook for over £300, much more than most men earned in a year. Rather than thank him for his heroic work, the committee humiliated Arnold and treated him like some sort of scam artist. Especially given the fact that his wife had just died, he had three young boys at home, and that his shipping business was also destroyed as a result of the war, many men probably would have quit the war at that point. Arnold could have gone home to make a fortune as a privateer. Instead though, he offered his services to Washington for a new dangerous mission. While getting through the hearings, Arnold worked to assemble his army from volunteers in the area around Boston. Many soldiers were eager for an active mission after sitting in camp for months doing little. Two New England officers Lt. Cols, Christopher Green and Roger Enos would lead the two battalions of New England volunteers. They hand picked men from many different units, looking for large men with wilderness and boating experience. Included in the detachment were a company of Pennsylvania rifleman commanded by Capt. Matthew Smith and two companies of Virginia rifleman commanded by Capt. Daniel Morgan. The riflemen were all frontiersmen used to wilderness conditions. Smith had been one of the Paxton Boys, accused of murdering innocent Indians in central Pennsylvania near the end of the French and Indian War (see Episode 19). Morgan, who would later rise to General, had left his home in New Jersey as a young boy to start his life on the Virginia frontier. He served as a young Wagoneer, along with his cousin Daniel Boone, during General Braddock’s Battle of the Monongahela at the beginning of the French and Indian War (see Episode 6). Morgan had assisted other young officers like Washington, Lee, and Gage who helped the army retreat after Braddock was killed. Morgan went on to serve with the British during the war, but his rough frontier ways never really meshed. He once got 500 lashes for striking an officer, though he always complained that they only gave him 499 and that the King still owed him a lash. He was also a longtime Indian fighter, and had several disfiguring scars to prove it. A young volunteer named Aaron Burr also joined the battalion. Burr came from a good New Jersey family, which meant he did not simply want to serve as an enlisted man, but neither could he get an officer’s commission. So instead, he joined as a gentleman volunteer to assist the army. Arnold was always in a hurry to move forward on a mission. There were good reasons for speed in this case. Arnold wanted to get his men through most of the march before winter set in. He hoped to make use of rivers and ponds to move most of the heavy equipment and supplies. There were no wagon roads through this wilderness. Once winter came and the water froze, it would become much more difficult. Also by early August, Gen. Montgomery was already besieging St. Jean, once that fell, he would quickly move on Montreal and then Quebec. If things went well for Montgomery, the fighting could be over before Arnold arrived. Arnold did not receive his Continental commission until September 8. Until then, he could not sign any contracts for the mission. He needed shipbuilders to make the batteaux for his men to port their equipment over the water. He also needed food, clothing, and munitions. Another delay came when his soldiers refused to leave before receiving back pay. If they were going to be gone all winter, they needed to send money to their families. The force finally began to move in late September. The first step in the journey would be to ship the men up the coast to Fort Western, present day Augusta, Maine. 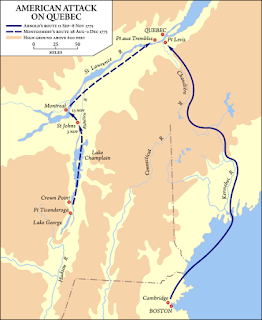 From there, the men would move up the Kennebec River. Arnold optimistically thought his men could make the estimated 180 mile wilderness march from Fort Western to Quebec in 20 days. Part of this was based on maps he had from the French and Indian War. The map he had though, were inaccurate. British mapmakers often altered unclassified copies of military maps so that they would not be useful to an enemy. That was the case with these maps. Arnold hired a local mapmaker and surveyor to make sure the route was good. Unfortunately, the man he hired was a loyalist who deliberately altered routes and distances to cause trouble for Arnold and his men. Arnold also attempted to hire local Abenaki Indians to serve as guides for the army. Washington, however, forbade the use of any Indians for the mission. So from the beginning, Arnold’s mission was being misled, misinformed, and misguided. To get to the launching point, Arnold had to march his men to Newburyport. From there, he planned to ferry them the 90 miles to Fort Western via a small fleet of ships. Fortunately, even though Gen. Gage had received intelligence that the Continental Army was sending 1500 men up the coast to Canada, Admiral Graves refused to send out his fleet to stop them. If he had, he might easily have captured the colonials at sea and ended the expedition before it even got started. 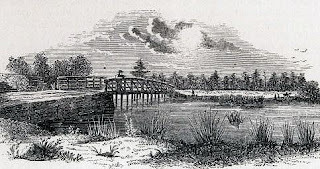 A few miles downriver from Fort Western, Arnold met up with Reuben Colburn, the contractor he had hired to build 200 batteaux for his army to move upriver. Colburn had slapped together 200 boats, but most were smaller than promised. More of an issue was the fact he had used green pine, which would continue to shrink over the next few weeks, leaving huge holes in the boats. There was properly aged wood available to make the boats, but that would have been more expensive and cut into his profits. He had only promised to deliver 200 boats. He didn’t promise they wouldn’t sink a few days after launch. Beyond the shoddy construction of the boats, which almost destroyed the expedition, Colburn had recommended the loyalist mapmaker who had deliberately sabotaged the maps for the expedition. Colburn also sent out scouts who reported false information to Arnold about the British in Quebec having sent out a detachment to intercept Arnold, and that Abenaki Indians had agreed to assist the British and set up an ambush. Arnold decided to ignore this intelligence, which turned out to be false. Arnold and his men were not happy about the poor quality of the boats, but also did not have time to fight about it. He began sending his scouts upriver in the best boats while his men work to patch those that were not yet seaworthy. Arnold made Colburn come along with the army to continue fixing the boats while en route. It was probably no consolation to Arnold, but the government never paid for the boats, not because of the workmanship, but because the government lost the receipts. After finding them decades later, the government refused to pay because too much time had passed. Colburn and his family kept up the fight for 80 years but never got paid. While Arnold was working to get his army into the boats and moving upriver, many of the men got into trouble around town, looting Tory homes, getting drunk, and fighting. Washington had ordered Arnold to stay on good terms with all the locals, as they were hoping the French, and possibly some Indian tribes might support them. So, Arnold had to put aside other work to hold courts martial, flogging and demoting several soldiers, and even discharging one. One man who accidentally shot another was sentenced to death. At the last minute, Arnold granted the man a reprieve and sent him back to Cambridge. I’m not sure he did the man any favors. While imprisoned at Cambridge, the man became sick and died after suffering a terrible illness. By the end of September, Arnold was ready to move his full army upriver. He had assigned each company of riflemen to a brigade so they could act as scouts. Capt. Morgan objected, saying the riflemen were an independent command who were not required to take orders from regimental officers. Rather than fight the matter, Arnold uncharacteristically compromised, making each rifle company an independent command that would provide scouting assistance and intelligence to each brigade, but not actually be part of the brigade. A few years later, Morgan would command the independent riflemen, known as Morgan’s Rangers, the forerunners of the US Army Rangers that are part of modern day special forces. Despite Washington’s concerns, Arnold also got several Abenaki Indians to serve as guides for the Army. 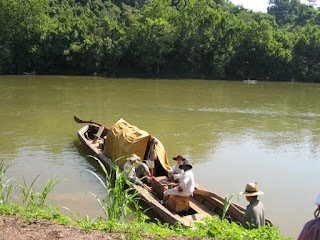 Arnold himself got a fast moving canoe so that he could quickly move back and forth between the front and back of his Army, which extended for miles along the river. Some men marched along the riverbank while other polled the batteaux up the river with all of their supplies. Colonial settlements along the coast only extended about 50 miles inland. Beyond that, his army would be travelling through wilderness occupied only by Indian tribes. Summer droughts had left the water levels on the river much lower than normal, often making it difficult for the boats to avoid running aground. Often, the men would have to get out of the boats and wade through the water, pulling the boats behind them, in order to get through shallow areas. 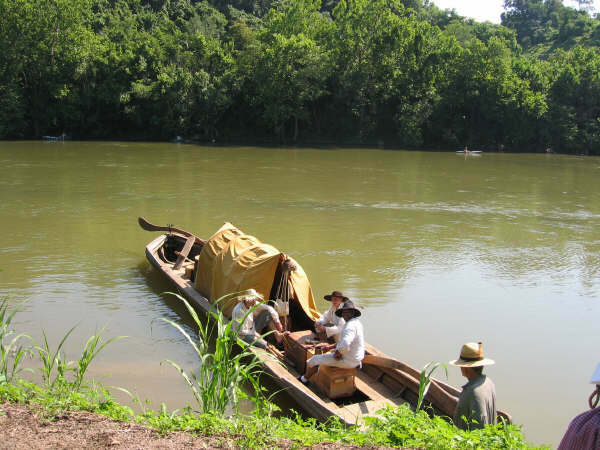 There were also numerous areas where rapids or waterfalls forced the men to pull their boats on land and carry them for miles, sometimes over mountains. Each boat, unloaded weighed several hundred pounds, meaning it would take a group of men at hard labor to carry each boat, and even more to carry the cargo. It also did not help that by October, the summer droughts gave way to cold driving rain. The men continued moving upriver through drenching rain. They would often sleep in their wet clothes only to wake up in the morning and find they clothes they were wearing had frozen solid, making it difficult to move. After eight days, the army had only moved about 50 miles. Despite the maps and surveys indicating a 180 mile trip, the journey would be over 300 miles. There was no way they would arrive in 20 days as Arnold had hoped. Arnold had taken with him 45 days of supplies in order to be safe. However, it turned out that the rain and leaky boats had caused much of the food to get wet and spoil. They had to throw away most of it. They also wasted another week patching and repairing more problems with the boats. 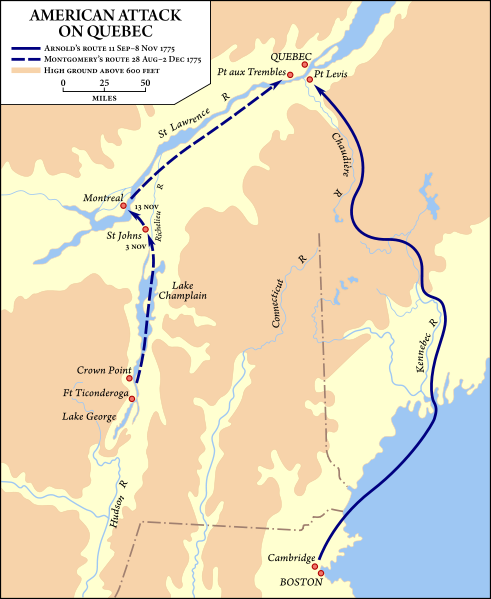 After reaching the Great Carrying Place at the headwaters of the Kennebec River, the Army had to carry their boats and provisions about 14 miles over the mountains to the Dead River. This process took another week. As you might guess, the backbreaking work, terrible weather, and poor rations soon lead to many men getting sick or injured and unable to continue. Arnold decided to build a small cabin at the Great Carrying Place to hold the sick and wounded, as well as some provisions. Arnold continued to report that morale was high. He may have been exaggerating, but Arnold seemed to be making every effort to lift the men’s spirits. He remained popular with the men, always moving among them and encouraging them on. They hoped the trip might get easier now that they would be travelling downriver, but no. The rains got even worse, as they got hit by the remnants of a hurricane moving up the coast. While moving down the river rains caused the river to rise 12 feet in one day. The flooding scattered men and cargo all down the river, which took even more time to recover. Already short on food, they lost even more of it in the floods. The land became swampy and mud soaked. On top of all that, several hundred men drank some of the swamp water and became terribly sick with diarrhea. Despite Arnold’s efforts, many were beginning to wonder if they could ever make it to Quebec. On October 23, Arnold held a council of war with his officers to discuss proceeding. Arnold left no question that he wanted to move forward. The officers agreed that they would send back a few of the men to sick or invalid to go on, but that they would continue forward in hopes of completing the mission. Arnold would take the lead with 50 of his best men, looking for the best route forward and correcting the many errors they were finding with their maps. After Arnold moved forward with his advance force, Col. Enos the head of one brigade called another Council of War without Arnold being present. He argued that there was no way they could continue. They were nearly out of food and had not found much of any game for hunting. Even in the unlikely event they did not suffer any more setbacks, they simply did not have enough food or supplies to reach Quebec before they starved. Col. Greene disagreed and said he would not abandon Arnold in the wilderness. In the end, Enos turned back with about one third of the entire army and more than one half of the supplies. Arnold did not find out about the defection for several days. Although he was clearly furious, he attempted not to show his temper in front of the men. Now, even if the remaining force made it to Quebec, they would not have enough soldiers to take the town unless Schuyler’s army, still stuck besieging St. Jean, joined them. By the end of October, Arnold’s advance force had found a passage across to the Canadian border. His forces were so spread out though, that guides could not get word back to all the units. Several got mired trying to move through a swamp. As food even for reduced rations ran out, the men became desperate. They ate a dog belonging to one of the officers. Many tried boiling the animal skins they had in their boats, trying to make a sort of broth to drink. Men began to collapse and fall out of the column. Arnold gave orders that any man who collapsed would be left behind. They no longer had the strength to carry the sick or provide them with any food. One man who fell behind was Private John Warner, a Pennsylvania rifleman. The only thing unusual about his story was that his wife, Jemima, was with him and had accompanied the army through all of its difficulties. Jemima fell out of the column to find her husband. After he died a few hours later, the 17 year old girl took his rifle and caught up with the army. Although half the men had turned back, Jemima would continue to press forward. Finally, by November 1, most of the army had found Arnold’s path into Canada. Within a day or two, they came across several cattle, which they killed and devoured. Arnold paid the local French owner for the value of his livestock. By November 3, the remaining 675 soldiers stumbled into the French Canadian town of Sartigan. Locals were shocked by the condition of the men, starving, wearing rags for clothes, long beards, and unwashed. They fed the army, which spent several days recuperating. Everyone rested except Arnold. He spent the next few days preparing for the final leg of the journey to Quebec. Dearborn, Henry Journal of Captain Henry Dearborn in the Quebec expedition, 1775, Cambridge: University Press, 1886. Force, Peter American Archives, Series 4, Vol 2, Washington: Peter Force, 1837. Henry, John J. An accurate and interesting account of the hardships and sufferings of that band of heroes, who traversed the wilderness in the campaign against Quebec in 1775, Lancaster: William Greer, 1812. Meigs, Return Journal of the expedition against Quebec: under command of Col. Benedict Arnold, in the year 1775, (Charles Bushnell, ed) New York: (Private Publisher) 1864. Melvin, Andrew (ed) The journal of James Melvin, private soldier in Arnold's expedition against Quebec in the year 1775, Portland, ME: Hubbard W. Bryant, 1902. Smith, Justin Arnold's march from Cambridge to Quebec, New York: G.P. Putnam's Sons, 1903. Stocking, Abner An interesting journal of Abner Stocking of Chatham, Connecticut, detailing the distressing events of the expedition against Quebec, under the command of Col. Arnold in the year 1775, Catskill, NY: Eagle Office, 1810 (reprint 1921). Thayer, Simeon & Edwin Stone The invasion of Canada in 1775: including the Journal of Captain Simeon Thayer, describing the perils and sufferings of the army under Colonel Benedict Arnold, in its march through the wilderness to Quebec, Providence: Knowles Anthony & Co. 1867. Desjardin, Thomas A. Through a Howling Wilderness: Benedict Arnold's March to Quebec, 1775, New York: St. Martin's Press, 2005. Lefkowitz, Arthur S. Benedict Arnold's Army: The 1775 American Invasion of Canada During the Revolutionary War, El Dorado Hills, CA: Savas Beatie, 2008. York, Mark Patriot on the Kennebec: Major Reuben Colburn, Benedict Arnold and the March to Quebec, 1775, Charleston, SC: The History Press, 2012 (book recommendation of the week). Today, I want to turn our attention back to the Continental Congress as they got back to work in September, 1775. I last covered Continental Congress in Episode 68, as they wrapped up their summer session and sent the Olive Branch Petition to the King. Congress had planned to restart on September 5, but had to wait another week for a quorum. Part of this may have been the result of the Independence hurricane I mentioned a few weeks ago. It had battered the southern colonies and dumped rain on the central colonies for several days, making travel difficult. Georgia finally sent a full delegation to Congress for this session. It was the last colony to send a full delegation. A few other delegates also joined and left for the new session, the most notable being Patrick Henry who returned to Virginia serve as commander in chief of Virginia’s military. Also, Peyton Randolph of Virginia returned to Congress. Many expected that he would once again assume the Presidency that John Hancock had taken when he left. But Hancock refused to step down. He believed he was elected after Randolph left and had no obligation to give up the chair.. Randolph took his seat with the rest of the delegates, but the incident particularly annoyed the Massachusetts delegation. They were still trying everything they could to make nice with the other colonies. The Presidency was meaningless in terms of power and was mostly a position of honor. Hancock was potentially generating hard feelings over a stupid title. 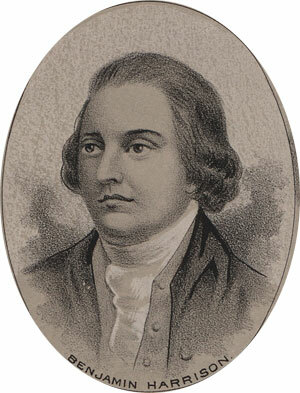 On the other hand, Hancock was still annoyed with his delegation for not making him Commander of the Continental Army. 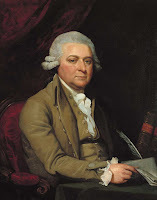 We was not about to give up another prestigious position so that John Adams could curry favor with others. In the end, he probably should have stepped down. Randolph died suddenly in October and Hancock probably would have been re-elected again anyway. The fall session of Congress involved quite a bit of executive style work. Since the colonies had no chief executive or executive branch, Congress had to run all the day to day functions of government, which at this point was mostly running the army. Congress formed dozens of committees where delegates worked on various projects. Some committees only lasted a few weeks, to draft a declaration or petition. Other committees became standing committees to deal with financing the army, or setting up international diplomacy. Over the entire life of the Continental Congress, members formed literally thousands of committees to deal with all problems large and small. In 1775 alone, Congress created about 60 committees simply dealing with military issues. It was over the course of this fall session that most members accepted that the fight would not be resolved any time soon. Washington’s army was not going to crush the British garrison at Boston in a quick and decisive blow. Congress received word from London that the King had refused to accept the Olive Branch Petition and went firmly on record that he supported the positions of his ministry and of Parliament generally. They also received the King’s Proclamation that the colonies were in full rebellion and that Britain would respond militarily, not with more political negotiations. As a result, delegates spent much of the fall gearing up for a longer term war. Committees would oversee what clearly had become a long term conflict. One committee in Congress dealt only with the letters and reports arriving from Washington on a daily basis. The new general saw part of his job as being an agent for Congress with the army. He kept Congress fully informed about the state of his army, efforts to improve it, and continual requests for more supplies. Another key committee was the Secret Committee in charge of procuring arms and ammunition for the army. Because much of what this Committee did was considered what we could call today classified military secrets, it operated without full input from the whole Congress, and more and more began to serve effectively as a Department of War. The immediate need was for thousands of small arms, dozens of cannon, and tons of desperately needed gunpowder. Congress created a three man Committee consisting of Benjamin Franklin, Thomas Lynch, and Benjamin Harrison to travel to Cambridge to meet with Washington and inspect the new Continental Army. They would arrive at the army for their inspection in October. Generally, the review went well and gave the delegates a better perspective on the military problems that Washington was facing. The Committee spent a few weeks with the army, going over a whole range of issues, from discussions on how to attack Boston, to supply and logistics issues, military discipline, and recruiting. Congress would act on many of the committee recommendations when they a returned to Philadelphia. Some of the discussions centered around whether to allow Indians and blacks into the army. Both were already there. Many black New Englanders had joined the provisional armies before Washington even arrived. Also, members of the Penobscot, Stockbridge, and St. John’s Indian tribes had sent warriors to join the militia following Lexington and Concord. These tribes had long and close relationships with the New England colonists and had treaties agreeing to protect each other. In the end, Washington and the Committee agreed to accept the Indians into the Continental Army but not any blacks, either slave or free. Armed blacks was a big concern, particularly for southern delegates. 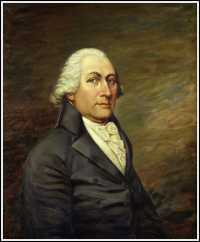 In September, South Carolina delegate Edward Rutledge had proposed a resolution for Washington to immediately discharge all blacks from the Continental Army. After some debate, Congress rejected the proposal, probably in part because they wanted Washington’s input before acting on it. Now, after discussions, they agreed at least not to recruit more blacks, though it seems that they did not kick out existing black soldiers already serving in integrated units. A month or two later, Washington seems to have reversed the decision to ban new black recruits anyway, probably due to the desperate need for soldiers. I know that when the army moved to New York in the summer of 1776, several people commented on mixed race units. So whether officially or unofficially, there were at least some African Americans serving alongside whites in defense of the patriot cause. 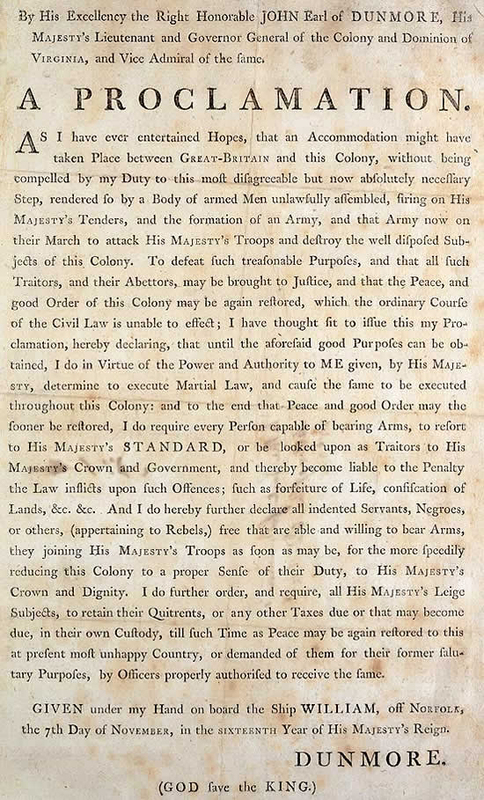 Officially though, despite the desperate need for soldiers for the following year, and despite the fact that the British were actively recruiting blacks for loyalist regiments, the ban on black soldiers remained in place for over a year. Many southern delegates did not want the war to become about freeing their slaves. They also did not want blacks fighting as soldiers to make an issue of emancipation at some later time. In October, Congress turned its attention to the navy. The patriots did not yet have a navy, but had decided that they needed one. Rhode Island, which had already converted several ships to military use, and was using them to harass British shipping in New England, had instructed its delegates to get Congress thinking about a navy. Even if the colonies could not dominate the seas, they could make life difficult for transport ships and capture supplies from the enemy. One of the first naval committees, made up of three New Englanders, John Adams, John Langdon, and Silas Deane, tried to come up with a plan to address an immediate need. Two British supply ships were headed to Boston full of arms and ammunition. They wanted to figure out a plan to capture these ships. The immediate plan called for arming existing merchant vessels for an attack. The committee authorized the purchase and arming of two ships for this use, as well as the commission of a third ship. Congress approved these actions on October 13, 1775, which the US Navy now recognizes as its birthday. Congress also authorized raising two battalions of marines to serve aboard these ships. Initially, they planned to draw a marine corps out of the army. After further consideration though, they decided on November 10, to form new Marine Corps regiments in Philadelphia. The US Marines now recognize that date as the birthday of the Marine Corps. But these acts were really ad hoc decisions to deal with an immediate problem. The issue made clearer the need to have a real permanent navy with armed ships ready to go and actively patrolling the coast. Consideration of a Navy had been delayed until now because Congress hoped that the dispute would be resolved quickly. Building ships could take many months before they would be ready. Until people accepted that this fight might take years, there was no point in starting such a project. Also, Britain had the most powerful navy in the world. Many questioned whether there was any point in even trying to challenge Britain on the ocean. By the end of October, Congress established a permanent committee to consider the development of a real navy. By November, the Congress adopted rules for the regulation of a Colonial Navy and authorized the acquisition of thirteen more ships to defend the coastline. A fleet would take time and money, but now that it appeared the war could go on for years, the colonists would have to do something to challenge British control of the seas. In early fall, Congress turned its attention to loyalists and royal government officials still in the colonies. On October 6, delegates passed a resolution calling for the arrest of all loyalists considered dangerous to "the liberties of America." This essentially created open season on any colonists who did not express support for the patriot cause, though it was mostly directed at loyalists who were actively recruiting regiments to fight for the King, or at Governors still trying to get colonies to reject the rule of provincial congresses. Local colonies distributed various loyalty oaths that proclaimed loyalty to the colony or the patriot cause, not the King. Congress banned the export of any produce or livestock from the colonies, except those to be used for the purchase of military supplies. On November 7, Congress added to the Articles of War. One was to add the death penalty for holding “treacherous correspondence” or giving intelligence to the enemy. That was apparently a direct response to the Benjamin Church incident in September, that I discussed in Episode 73. Other new rules dealt with problems facing the new army. Officers found guilty of fraud or embezzlement could forfeit all pay and be cashiered from the army. Soldiers could be demoted or flogged. Dismissal for officers and floggings for soldiers were also applied to being drunk on duty, falling asleep on duty, or leaving one’s post. Officers dismissed for cowardice would have their names published in their local hometown newspapers. Anyone deserting to the enemy or fomenting mutiny or sedition could face the death penalty. It established other penalties for plundering property while in battle, showing cowardice before the enemy, leaving camp without permission, or disobeying the orders of a superior officer. 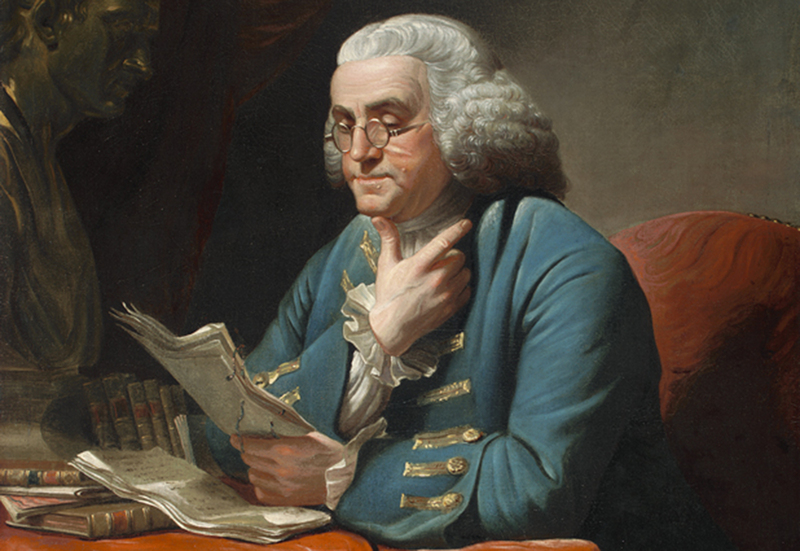 All of these new rules were based on experience, many of them recommended by Washington himself to deal with problems he faced with his new army. Fighting in Virginia and the Carolinas in the fall of 1775 also drew Congress’ attention. It also began to receive reports that London was planning to send an army to pacify the southern colonies. It seemed unfair to have a whole Continental Army in New England and New York fighting the war, while leaving the southern colonies to fend for themselves. Congress began taking steps to organize the state militaries in the south under Continental control, and also to pay the soldiers there with more Continental currency. As I mentioned, by late fall, almost all the colonies had tossed out the royal governments. Now they were unclear how they should proceed. New Hampshire and South Carolina instructed their delegates to ask Congress how they should govern the colonies now that they had overthrown British control. After some debate, Congress recommended forming State conventions so that the people could decide for themselves what form of government to create. This was a really big deal. Although Congress had already approved Massachusetts setting up an independent government, that was because the colony was already in open warfare with its governor. Many delegates still clung to the hope that this was temporary, that they could find a political compromise and that even Massachusetts would return to its traditional government. By this time though, other colonies sought Congressional legitimacy for their independent governments. Congressional approval of governments completely independent of the Crown was essentially declaring independence. That was the goal officials in London accused them of seeking and which most delegates still vehemently denied wanting. The debate, therefore, was rather contentious. 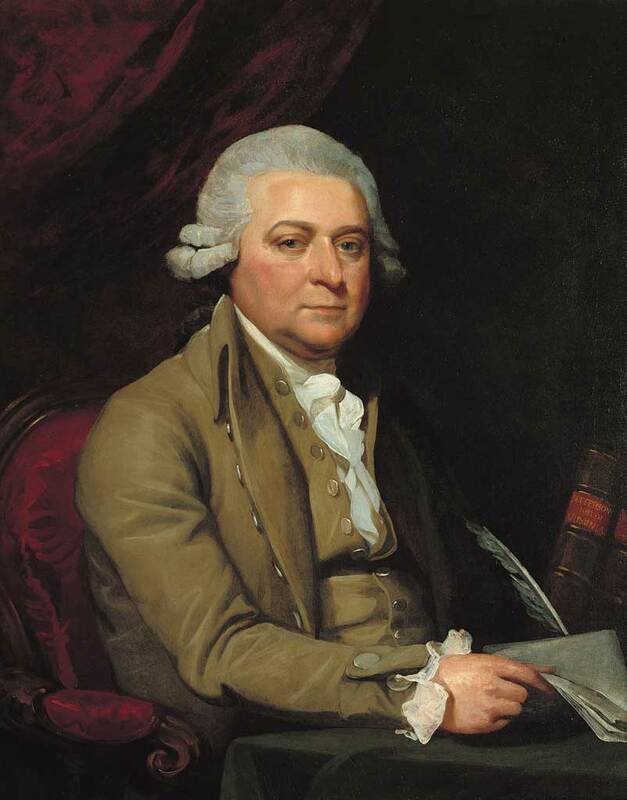 During the debates, John Adams began to refer to the local entities as states rather than colonies. Although Congress approved setting up independent governments, it was not yet ready to adopt Adams’ proposal to call them states. 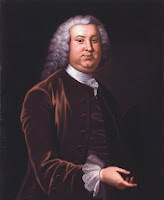 Although Adams and most of New England had accepted by now that independence had to be the ultimate goal, and the other side in London also pronounced in no uncertain terms that the patriots clearly were headed toward independence, the majority of the Continental congress was not yet ready to admit that point. Even so, Congress told the colonies to hold conventions so that the people could approve the form of government they wanted, at least until they could resume normal relations within the British Empire. This went well beyond having Massachusetts operate a government under an earlier version of its Royal Charter. Congress now approved of creating an entirely new and independent government based only on what the people of that colony wanted. In other words, Congress approved a huge step toward independence, but still didn’t want to admit it explicitly. Around this same time, Congress started considering another important step toward becoming an independent state. It started to think about opening diplomatic relations with other countries. Congress desperately needed to trade with other countries, if only to get the supplies necessary to continue the war. Americans did not have enough industry, at least not at the scale needed, to create powder, mine lead for balls, manufacture muskets and cannons, or make a great many other things the army needed. Colonies had always purchased such items from Britain, which was now disinclined to make such sales. While they got by raiding British transports and knocking over the occasional unguarded stash, they needed a more reliable source of munitions and other supplies. A few delegates also recognized that allies might distract Britain from suppressing the rebellion in America. An alliance that caused other European powers to go to war with Britain could work to America’s advantage. As I mentioned in Episode 71, France had sent an agent named Bonvouloir to meet with Congress quietly and see what France could do to make Britain’s life more miserable. Bonvouloir met discreetly with Benjamin Franklin and other delegates at Carpenter’s Hall. While he would not admit to being there in any official capacity, he did indicate that France may be of assistance in providing much needed munitions as well as engineering experts needed for fort construction and other military defenses. His meetings helped Congress appreciate that some countries in Europe might be willing to assist America in its fight. Already France seemed to be helping quietly. Though it officially respected Britain’s ban on anyone in Europe selling munitions to the colonies. The French colony of St. Domingo (in the modern Dominican Republic) had sold 30 tons of gunpowder in late summer. In November, the Governor of Jamaica reported to London that the French in Hispaniola (modern Haiti) had imported record amounts of munitions, which seemed to be disappearing into the holds of American merchant vessels. In late November Congress established a Committee of Secret Correspondence to contact various countries in Europe and figure out who might be interested in providing assistance. A few weeks later, it appropriated $3000 to send American diplomats to Europe to see if they could work with European powers interested in supporting the American struggle against Britain. Congress also expressed concern about how the Indians might ally themselves. William Johnson, who had been the British Indian agent for decades had died in 1774. His nephew Guy Johnson had taken his place. Johnson had a home in upstate New York and held a good working relationship with the Iroquois Confederation. In early 1775 he had been forced to flee to Canada, where Gen. Gage ordered him to organize the Indians to assist with the attack on the rebels in Massachusetts. Johnson had not yet made much progress, but if he could get a united Indian force to rise against the rebels, it would be a big problem. To help counter this, Congress employed Samuel Kirkland, a missionary who already lived in upstate New York with the Iroquois. Congress hoped to use Kirkland to convince the Iroquois to maintain neutrality in what was becoming a full blown war between Britain and the colonies. Kirkland would have only mixed success, but would keep at least some of the Iroquois from siding with the British. Congress had pretty much burned through the $2 million in had printed for the war so far. With all the new expenses, on November 29, Congress authorized the printing of another $3 million worth of continental currency, technically still bills of credit which would be repaid in real money as some point, somehow. Within a few days, they would send $500,000 of that new money to Washington for use in getting his soldiers to reenlist for the coming year. Congress owed several months’ back pay, plus wanted to offer bonuses for reenlistment. Much of the rest of the money would go toward the new navy, the southern army, and a host of other government expenses. Congress also reached out to the colonies to see about them starting to kick in and pay off these mounting debts. But for a group of colonies that started this war because they did not want to pay off war debts accrued in London, many would show the same reluctance to pay war expenses accrued in Philadelphia. Proceedings of the New York State Historical Association Vol. 14 (1915), pp. 101-107. Journals of the Continental Congress, Vol. 3, Sept. 21-Dec. 30, 1775 Washington: US Gov’t Printing Office 1905. Lothrop, Samuel Kirkland Life of Samuel Kirkland, Missionary to the Indians, Boston: Charles C. Little, 1847.